The daily emotional experiences of adolescents are dynamic, vary significantly across individuals, and are crucial to their psychological adjustment, warranting a need to identify factors that promote adaptive affective responses to stressors and attenuated affective instability. 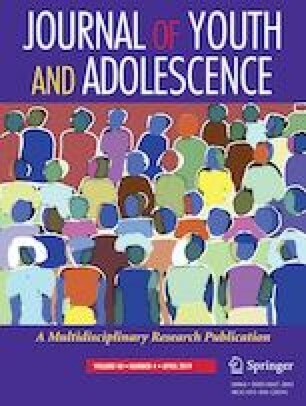 The objective of this study, therefore, was to examine protective factors linked to individual differences in daily affective reactivity and instability utilizing a daily diary design in a national sample of 100 U.S. adolescents (13–17 years; 40% girls; 79% White). Adolescents completed a baseline survey and then 14 daily online surveys. Better mother-adolescent communication predicted lower negative affect reactivity, whereas greater use of problem-focused coping strategies predicted higher positive affect reactivity. Greater trait resilience and instrumental support seeking predicted lower negative affect instability. Conversely, more emotional support seeking predicted higher negative affect instability. No factors were associated with positive affect instability, and father-adolescent communication was unrelated to daily affective reactivity and instability. The findings implicate specific protective factors associated with distinct aspects of affective reactivity and instability. We would like to thank all of the families who participated in this study. We also would like to acknowledge the study staff, especially Ashley Pantaleao and Emily Simpson, for their unmatched dedication to the implementation and conduct of this project. AV conceptualized the objectives and hypotheses for the manuscript, conducted most of the analyses, generated the first draft of most text, and incorporated revisions from co-authors. LF conducted analyses, drafted some text, and assisted with some manuscript revisions suggested by co-authors. CMO, ADLR, and SL are co-principal investigators of this study and each made substantial contributions to its conceptualization and design, and they provided feedback on this manuscript. CMO also collected the data, and SL cleaned the data. HT is a consultant on this study and offered substantial feedback on the design and implementation of the study, as well as the theoretical and analytic considerations for this manuscript. All authors read and approved the final manuscript. This research was supported by the National Science Foundation grant numbers SES-1461394, SES-1461392, and SES-1461400 (co-PIs: Ohannessian, De Los Reyes, Liu). For Laura Finan, the preparation of this manuscript was supported by grant number T32AA014125 from the National Institute on Alcohol Abuse and Alcoholism (NIAAA) of the National Institutes of Health (NIH). The content is solely the responsibility of the authors and does not necessarily represent the official views of NSF, NIAAA, or the NIH. The study was conducted in accordance with the ethical standards of the American Psychological Association. All procedures were approved by the Connecticut Children Medical Center Institution Review Board. Prior to participation in the study, all parents provided informed consent and all adolescents provided their assent.